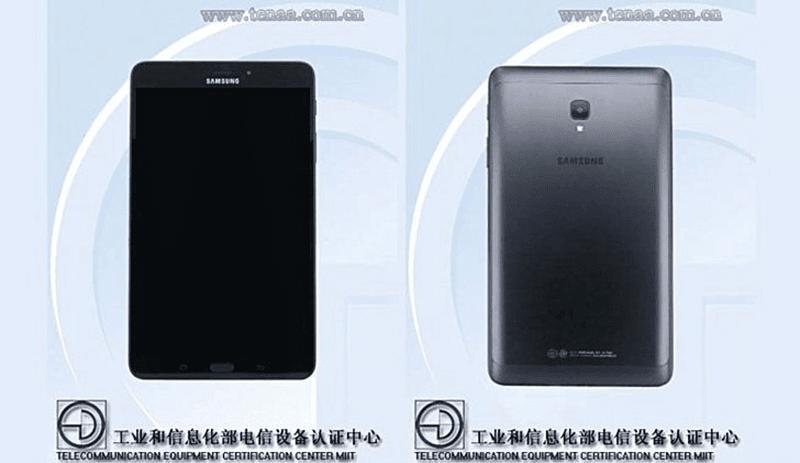 After appearing at GFXBench few months back, listing of the Samsung Galaxy Tab A 8.0 (2017) with model number model SM-T385C was spotted on TENAA certification. The listing confirmed the benchmark listing few months ago and the existence of Samsung's Galaxy Tab A 8.0 (2017). Unfortunately, that's the only thing we were able to confirm right now. Going to the rumored specs, Samsung's new tablet could be a midranger. It is said to have an 8 inch HD screen, 1.4 GHz 64 bit Snapdragon 435 octa core processor, Adreno 505 graphics, 2 GB RAM, 16 GB storage, 8 MP main camera, 5 MP selfie camera, and Android 7.0 Nougat OS. The battery capacity, connectivity options, and rest of the missing details are still unknown for now. Let's all wait for its official launch. It could be revealed this September at IFA 2017.